If you’re like many organizations these days, you may be on the hunt for ways to improve and streamline how you curate and promote assets so they better support your marketing stories. This solution needs to be easy, efficient — and dare we say fun to use (it actually can be fun!). If this sounds like you, then you might be interested in our Portals app. In this article, we’ll talk about what Portals is and what it does. 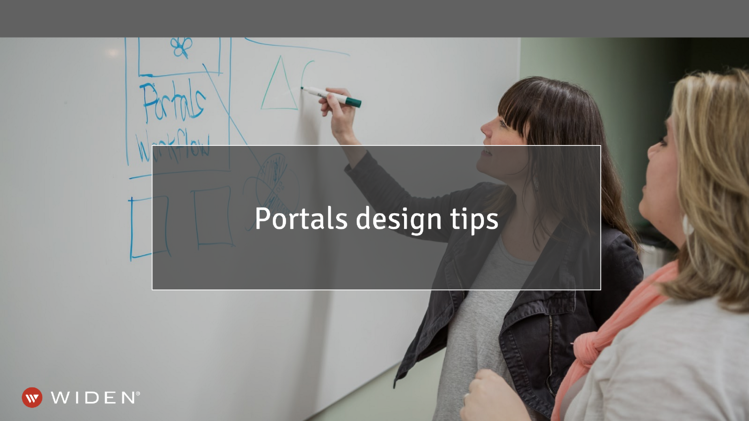 We’ll also share lots of best practices and design tips to help you get the most out of your Brand Portals. Often referred to as Brand Portals, or content portals, our Portals app allows you to easily present and share curated sets of assets with targeted groups of people — within a custom, branded experience. It’s important to note that Portals DOES NOT replace collections. It’s a bonus to collections that allows you to do more. 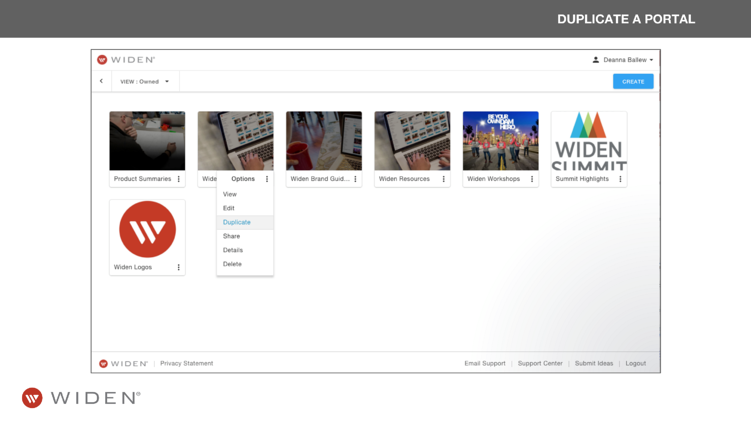 Now, as you curate collections and make them part of your portals, you’ll find there’s much more capability to tailor visual content for distribution and access, for specific needs. Duplicates the layout for you to start with, and then you can modify it. 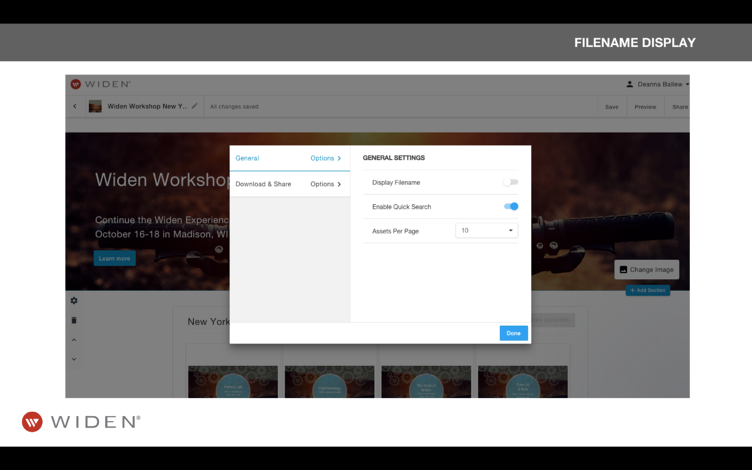 Choose to display or hide a filename on assets in a portal to offer a cleaner look. Restrict or open permissions for portals that require a login. You can use Portals to distribute assets for many different purposes. To make it easy, we provide different templates that come with different features. Currently, we offer both Standard and Brand Portals. Next up we’ll release Video, Distributor, and Collaborative Portals. Regardless of the type of template(s) you purchase, you can create an unlimited number of portals. Buongiorno! We’re offering translation support for several languages, including Italian, French, Spanish, Romanian, Portuguese, German, French Canadian, Russian, Japanese, Korean, and simplified Chinese. Before you create your first Brand Portal, it’s a good best practice to determine who needs access to it. Once you’ve determined that, you can then customize the portal to fit specific needs. Do you want to leave it open to the public for anyone to access? Or do you need to block it with an access code for a product launch that is not yet public? Is there already a well-visited site, like a dealer website, that you want to embed it on or link it from? If so, do you want to resemble the brand and style from that website? And what, if any, calls to action (CTAs) are needed? Do users need the ability to contact someone for questions? Be taken to an order page? Set up multiple asset sections that are relative to user needs — like weekly campaign collateral. This way you can add to the section and make assets easily findable. Think about how users may want to consume the visual content and group assets to ease the “download all” functionality (i.e., group all the assets for a single product or all the sell sheets together). Turn on quick search where it makes sense. When there are over 10 assets is a good benchmark. For assets that do not need to be downloaded, leave them as view only. On that note, only enable download and share options when they’re useful. 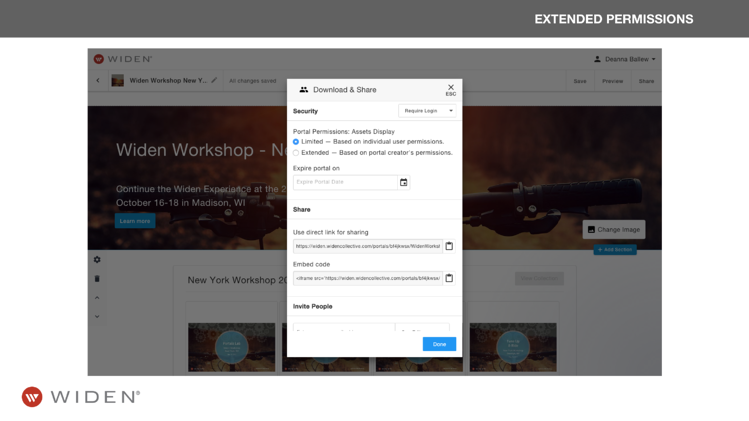 Add strategic CTAs to banner sections with buttons. Be creative! 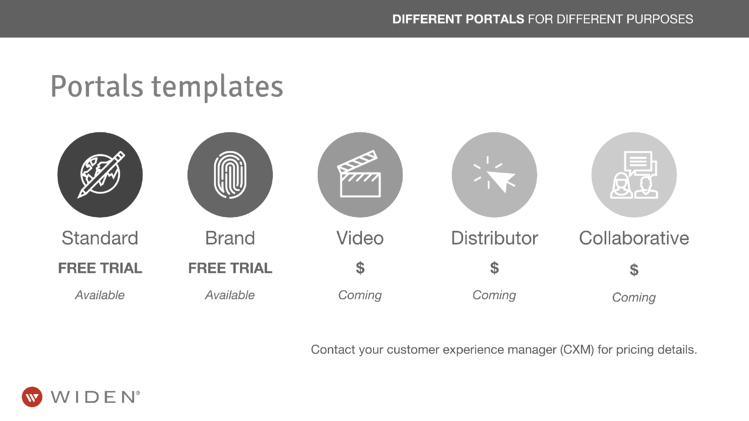 One portal can link to multiple portals for product launches. Speaking of being creative, how about some design tips to go along with these best practices? To follow are real-world customer design examples of Brand Portals that show how users are showcasing, displaying, and sharing their brand assets. For the first section, Delaware North uses a three-column text area to call out their voice and tone. They also use color to bring emphasis to the headlines. 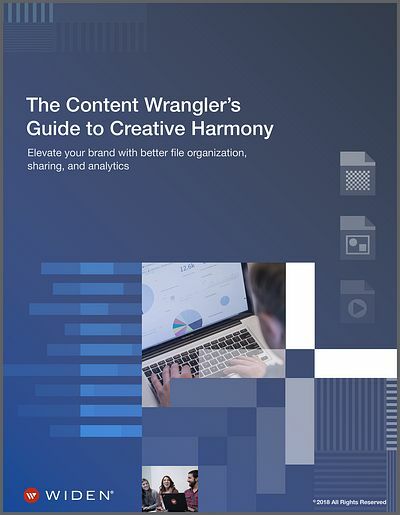 Next, they share their comprehensive written style guide and terms, which align with their brand. As with their headlines, they incorporate color to call out keywords. Sometimes they even use different font weights to create visual variety. In other words, they’re getting creative! Delaware North also shares their photography guidelines — allowing users to view and download this selected group of assets. A unique element of their portal is the fact that they divided their colors in primary and secondary colors, so visitors can distinguish between which colors are appropriate for what. 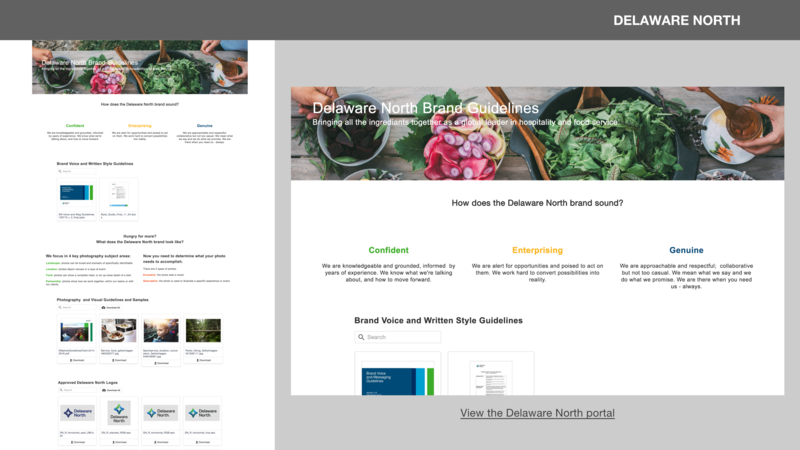 This is just a handful of the creative design ideas that Delaware North brings to their Brand Portal. 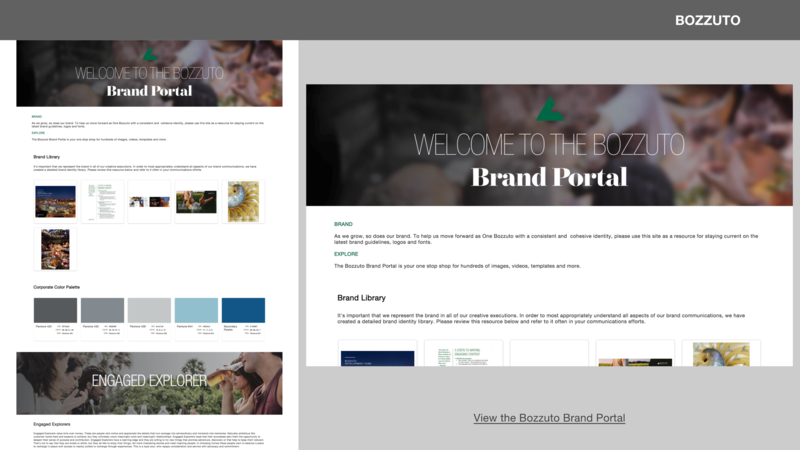 Bozzuto's Brand Portal is an elegant extension of their brand. They created an image for the banner area with their logo present to give instant brand recognition. Next, they showcase their core brand materials and color palette. This leads to other sections that feature elements like a section on their brand tone with a secondary banner, description, and viewable assets. In their brand assets section, Bozzuto has collections that feature their logos and fonts. This is accompanied by templates and photography, which is divided into three groups with collections. There are also videos, which can be downloaded, shared, or viewed directly from the portal. 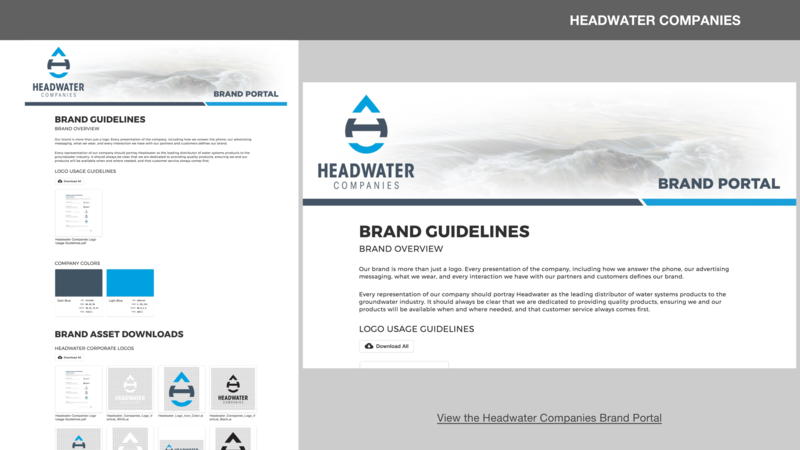 A division of Franklin Electric, Headwater Companies has a very clean, organic design on their portal, which embodies their brand. 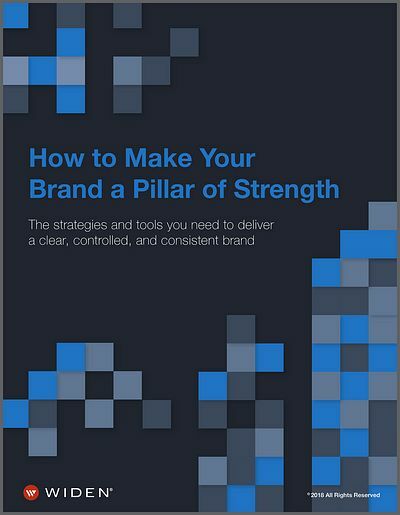 They have a content hierarchy that starts with their brand guide overview, followed by color swatches, logos, and a template. This is a good example of how you can have co-branding present in a portal, all through the power of design! On that note, you may end up having multiple Brand Portals for your brands or sub-brands, and Portals is a good way to keep consistency for your viewers. 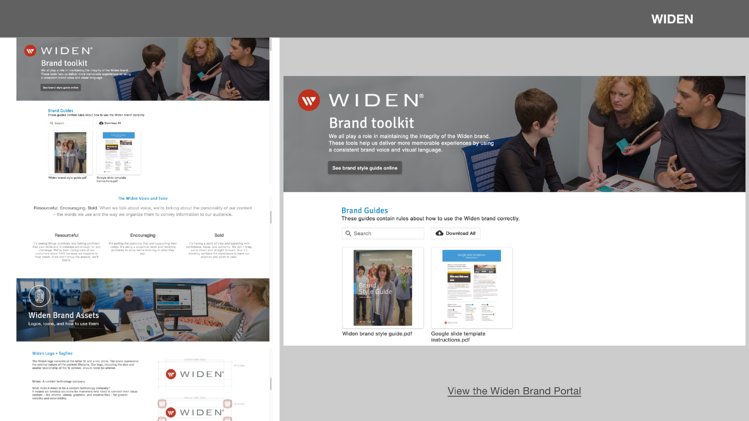 Here’s a look at how we designed our very own Widen Brand Portal — with a wide variety of section types. We start out out with our full brand guide for users to view all of our branding information. And for our voice and tone, we feature a three-column section to call out key terms. This is followed by our brand assets section where we use a two-column section that contains an image of our logo and Widen logo guidelines paired with a description. We’ve designed two separate downloadable sections for our logos for web and print use. This provides a better user experience, making it easy for users to identify what logo is best for what kind of piece. It also helps with quality control. A unique element of this logo section is via the download option, they can choose the original format, as well as small, medium, and large file sizes. The next section houses our icons, visual style, colors, swatch palette, and font overview. As you can see, Brand Portal design (much like good web design) can organize elements into easy-to-find, easy-to-digest segments. As with any kind of design, experiment and be creative. Combine different sections, try adding new ones, or style your text. Take the opportunity to visually extend your brand and give it life with Portals! 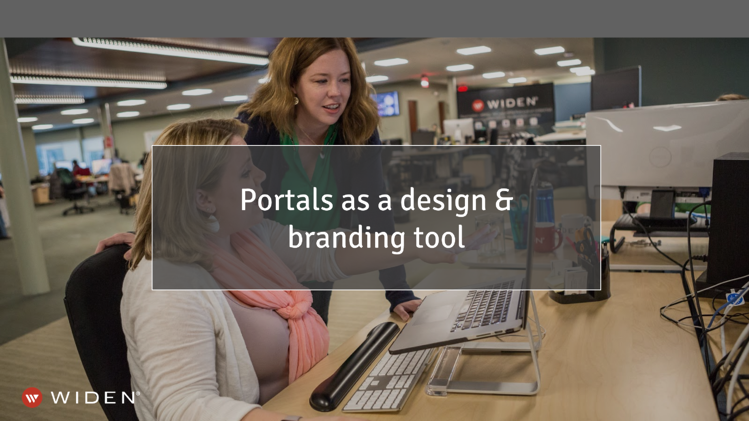 Here are some brief, real-world examples of some of the ways Portals can help your organization. These examples will give you a clear idea of how Portals can help your organization effectively curate and promote visual content to better support your marketing stories. Footjoy uses their portal to show their new products before providing previews of the downloadable assets. They’ve essentially created a custom landing page to share new product materials in a very visual way. Atlanta Falcons use their portals for their “offseason player portal.” This is a very interesting use case as they’re using Portals for “HR” purposes to share player photos from various offseason events. Life Fitness uses their Brand Portal for their media kit, media specs, advertising resources, slide decks, one sheets, templates, logos, virtual tour videos, and other internal documents and resources (i.e., legal, contracts, research, guidelines, and SOPs). 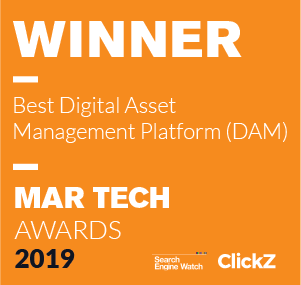 Clear Channel Outdoor, one of the world’s largest outdoor advertisers, uses the Standard brand portal to distribute their campaign assets for each month. Red Gold, the maker of tomato products, enlists the help of Standard Portals, along with collections, to group sell sheets. And, collections dynamically update the assets within the portal whenever there’s a change. American Woodmark Cabinetry uses their Brand Portal to launch multiple products. The use of Brand Portals gives them functionality to use column sections for a unique style on the page with three columns. While we aim to provide you with proven tips, guidance, and inspiration, we know you’re busy! And for that reason, we’re beginning to offer Portals design services! Whether you need additional information on Widen Portals, or our portals design services, feel free to get in touch with us anytime. 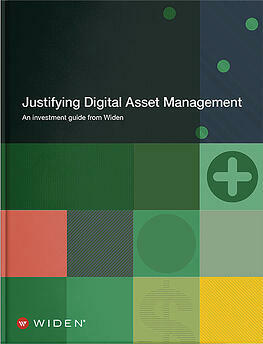 Is it time for some digital asset management clean up?